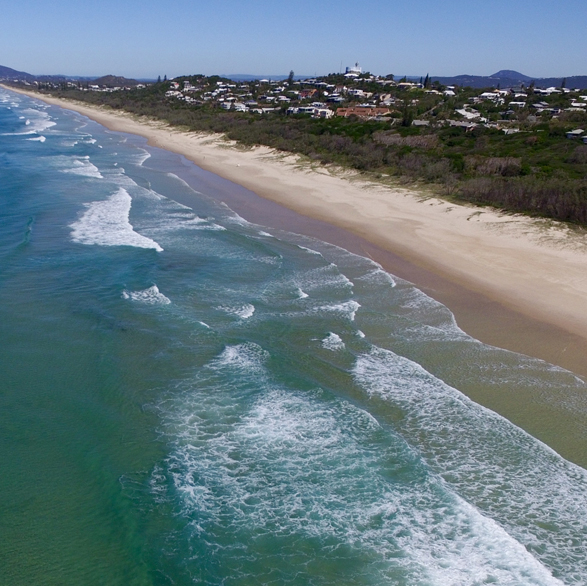 One word sums up Peregian Beach – “chilled” This funky little town on the Northern stretch of the Sunshine Coast is a popular spot for holidaymakers after a low-key, quieter location but with all the amenities. It can be a nice change from a holiday house in Noosa. Peregian is a chilled out town that hasn’t become over crowded by an influx of tourists. It has a beautiful beach which is often patrolled and excellent for surfing. There’s a large village center that offers a wide variety of dining and café options as well as some eclectic, boutique shopping. If you’ve got little ones with you, they’ll have a great time at the local park. There’s plenty of space to keep them entertained. When they get sick of the park – the beach is just a short stroll down the stairs. If the timing is right – don’t miss out on enjoying the “Peregian Originals” which is a local live, original music held on the second Sunday of each month between 1pm and 5pm. We have a variety of Airbnb accommodation options available in Peregian.